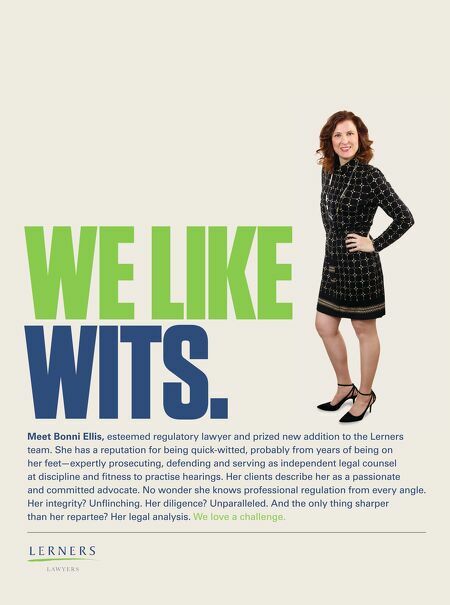 Meet Bonni Ellis, esteemed regulatory lawyer and prized new addition to the Lerners team. 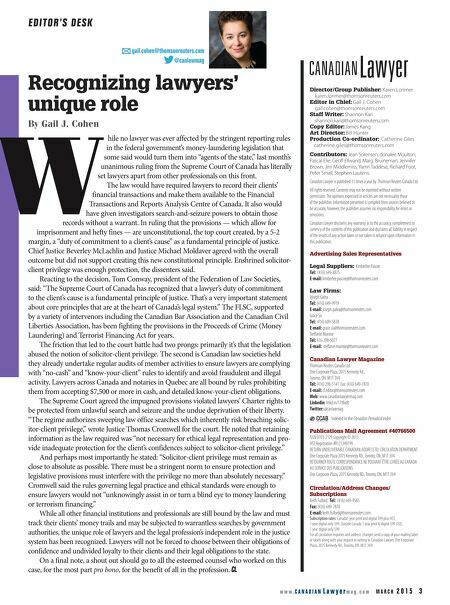 She has a reputation for being quick-witted, probably from years of being on her feet—expertly prosecuting, defending and serving as independent legal counsel at discipline and fitness to practise hearings. Her clients describe her as a passionate and committed advocate. No wonder she knows professional regulation from every angle. Her integrity? Unflinching. Her diligence? Unparalleled. And the only thing sharper than her repartee? Her legal analysis. We love a challenge. WE LIKE WITS.